Paccar Inc.’s board has elected Harrie Schippers president, effective Jan. 1. Schippers is currently executive vice president. He is also chief financial officer — a post he will retain in addition to his new position. Bellevue, Wash.-based Paccar is the parent company of the North American truck brands Kenworth Truck Co. and Peterbilt Motors Co. It also manufacturers the MX brand of truck engines. 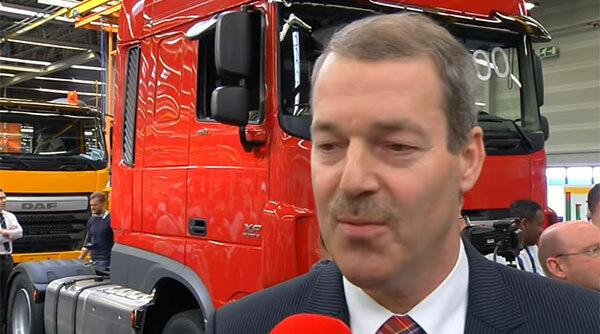 Schippers was president of Paccar’s DAF Trucks unit in Eindhoven, the Netherlands, from 2010 to 2016. “Harrie is an outstanding leader and has contributed towards Paccar’s excellent record of profitable growth, including the recent introduction of the new DAF CF and XF trucks, which earned International Truck of the Year 2018 honors. He also has responsibility for Paccar Parts, which has achieved record quarterly sales and pre-tax profits this year,” Paccar CEO Ron Armstrong said.